The objective of the Civil Society and NGOs Program (CSP) is to comparatively analyze how the civil society in Asian nations adapts and evolves in accordance with the progress of globalization. CSP has mainly conducted research on three domains—Korean civil society, Asian civil society, and global civil society, and various achievements were attained by establishing international networks. In 2017, research conducted by CSP can be divided into two main themes – Korean civil society and Asian civil society. The outcomes of the qualitative research on Korean civil society and research on the socio-economic activities carried out in the grassroots dimension within Korean civil society were organized and published. In addition, CSP has developed new research themes in 2017. CSP has analyzed recent challenges and alternatives in Korean civil society. The research outcome was published in the book Renewing Korean Civil Society. Research, funded by The Beautiful Foundation, was also conducted under the topic of ‘Morphological Analysis of Nonprofit Sector in Korea’ based on CSP’s previous research findings for mapping Korean civil society. The multilayered and complex aspects of the nonprofit sector in Korea were examined through analyzing the state-society relations. In addition, nine articles with the theme of ‘The Answer Lies in Communities’ were published serially in Monthly Joongang as part of CSP’s effort to search for alternatives from the micro level of Korean civil society. Moreover, as part of the project for establishing a database on NGOs in Asia, CSP has organized the database of NGOs with Consultative Status acquisitions from the UN Economic and Social Council in the Asian region (approx. 800) in 2017. The database will be published as a directory book on NGOs in Asia. CSP has also obtained significant achievements in establishing international networks. Starting from 2017, six experts from Korea and Japan comparatively analyzed CSR cases in regional communities centering on six major domains including human rights and environment for the research on “Comparative Analysis of Korea-Japan CSR in the Regional Community” which is part of the ‘Korea-Japan Research Project.’ In addition, the scholars from China, Japan, Korea, Mongolia, and Vietnam participated in the International Conference on Searching for Alternatives in Future Society. CSP plans to expand former research and develop new research themes on Korean civil society, Asian civil society, and the Global civil society. 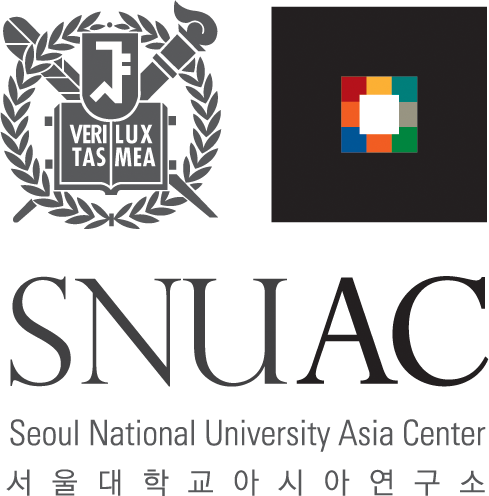 First, CSP plans to conduct research on “The Crisis of Korean NGOs: Analysis on the Crisis of Organization Democracy” as a follow-up study for the research that was published in Renewing Korean Civil Society. The serial project ‘The Answer Lies in Communities’ will be also published as a book. Secondly, for the national, regional, and territorial analyses will be conducted on 500 NGOs in Asia which were selected by the NGO Advisor. Moreover, research on “Socio-economic Organizations in Asia: Seeking for Sustainable Model through Comparative Study” will be conducted. Meanwhile, research on “Comparative Study of Korea-Japan CSR in the Regional Community” will be further developed in 2018. Lastly, for research on global civil society, the transnational NGO activities will be examined from the global justice framework. Kong, S. K., et al. (2018). Renewing Korean civil society. Zininzin. Lim, H. C. (2018). Chunghee Park’s development model studying with comparative viewpoint. Zininzin. Kim, Y. C. (2017). A qualitative research on the organizing and institutionalizing processes of social venture entrepreneurship. Journal of the Korea Entrepreneurship Society, 12(5). Kim, T. K. (2017). From supporters to advocates: A study on the identity transition of development civil society organizations in South Korea. Discourse201, 20(3).